No one has set foot on Earth in centuries -- until now.Ever since a devastating nuclear war, humanity has lived on spaceships far above Earth's radioactive surface. Now, one hundred juvenile delinquents -- considered expendable by society -- are being sent on a dangerous mission: to recolonize the planet. It could be their second chance at life...or it could be a suicide mission.CLARKE was arrested for treason, though she's haunted by the memory of what she really did. WELLS, the chancellor's son, came to Earth for the girl he loves -- but will she ever forgive him? Reckless BELLAMY fought his way onto the transport pod to protect his sister, the other half of the only pair of siblings in the universe. And GLASS managed to escape back onto the ship, only to find that life there is just as dangerous as she feared it would be on Earth.Confronted with a savage land and haunted by secrets from their pasts, the hundred must fight to survive. They were never meant to be heroes, but they may be mankind's last hope. If you love the show, don’t read the books lol. But if ur looking for a series that has Bellarke in it. This is the book series for you!!! 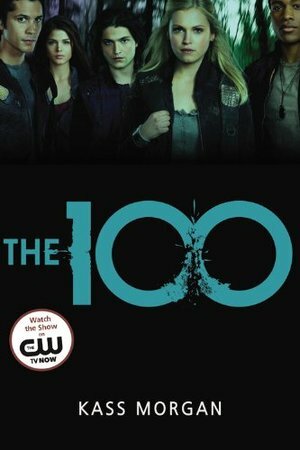 Book Description The first book in the New York Times bestselling series that inspired the hit CW television show. No one has set foot on Earth in centuries -- until now. Ever since a devastating nuclear war, humanity has lived on spaceships far above Earth's radioactive surface. Now, one hundred juvenile delinquents -- considered expendable by society -- are being sent on a dangerous mission: to recolonize the planet. It could be their second chance at life...or it could be a suicide mission. CLARKE was arrested for treason, though she's haunted by the memory of what she really did. WELLS, the chancellor's son, came to Earth for the girl he loves -- but will she ever forgive him? Reckless BELLAMY fought his way onto the transport pod to protect his sister, the other half of the only pair of siblings in the universe. And GLASS managed to escape back onto the ship, only to find that life there is just as dangerous as she feared it would be on Earth. Confronted with a savage land and haunted by secrets from their pasts, the hundred must fight to survive. They were never meant to be heroes, but they may be mankind's last hope. BLARKE 4EVER. This book was really good, it was completely different from the show. It's like having two total different stories. The book was definitely AMAXING. And I loved it.